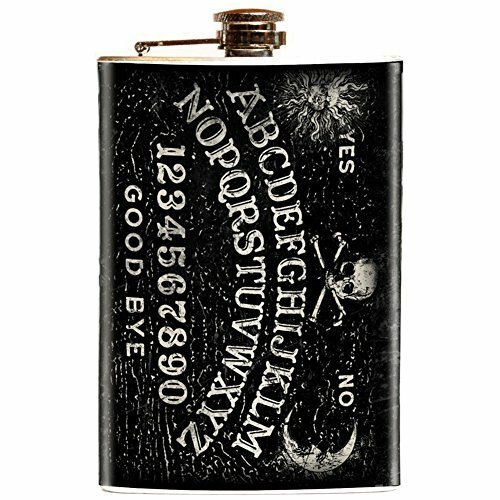 Magic Fortune Teller Flask By Retro-a-go-go! Stainless steel, silver finish, 8 oz. flask. 5.5" tall including top closure-easy screw cap lid, and 3.75" wide. The water-resistant artwork fully wraps around the flask, from top to bottom and front to back, making it even more irresistible. Flask holds 8 mighty shots of your favorite beverage. 8 oz. flask. 5.5" tall 3.75" wide. If you have any questions about this product by Retro-a-go-go!, contact us by completing and submitting the form below. If you are looking for a specif part number, please include it with your message.